01 | Preheat oven to 250 degrees. Cut oranges into ¼” slices, discard ends and blot both sides with a paper towel. 02 | Place a cooling rack onto a cookie sheet. Place orange slices onto cooling rack and place into the oven for about 2 hours, checking often to make sure the edges do not burn. 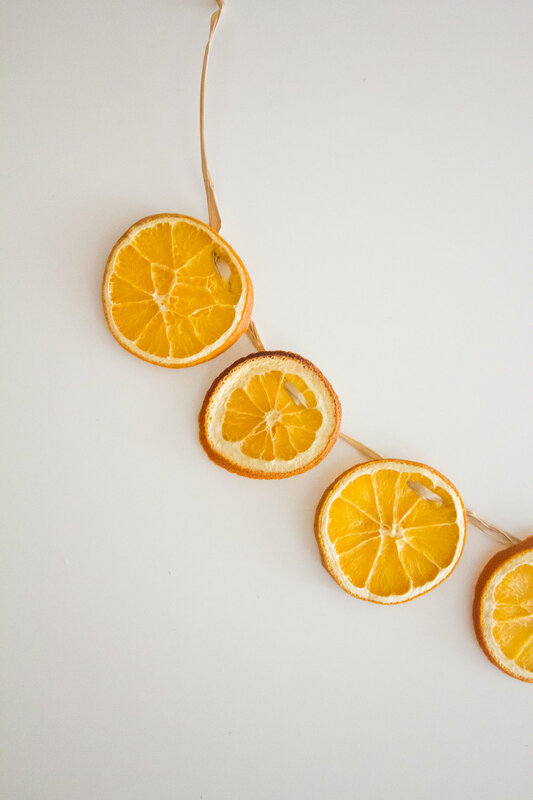 You can also use parchment paper instead of a cooling rack, but you must flip oranges 2-3 times within 2 hours to ensure that they do not stick and dry evenly. Leave oranges out to dry completely overnight. This step is important - if the flesh is not completely cooled and dry, they will fall when you hang them. 03 | Once they are completely dried, poke two holes and use your choice of twine, ribbon, yarn, or raffia (what I used) to make a simple stitch through the oranges. Experiment with the spacing of the oranges for a different look. 04 | Hang and enjoy! 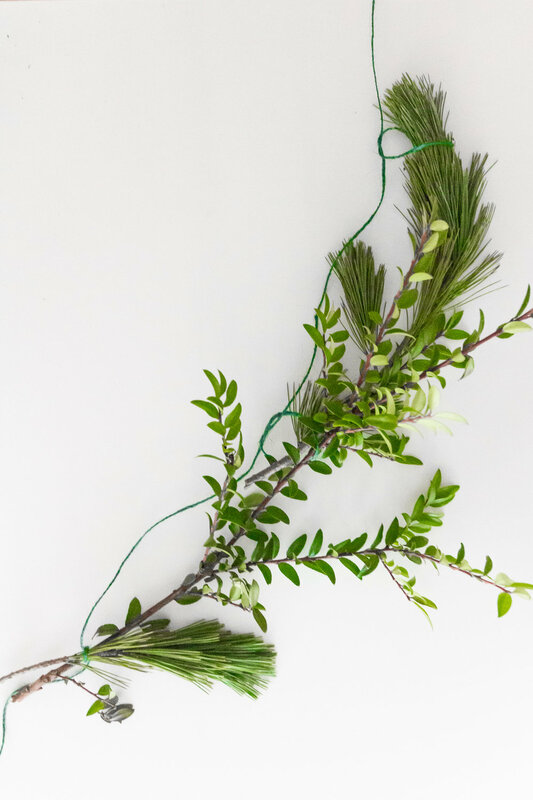 I also made my own garland out out of a bunch of greenery that I picked up from the grocery store. I was able to tie the ends of each stem together with green yarn (as pictured above), and draped it behind the oranges to make them stand out. Loving the orange and green together!